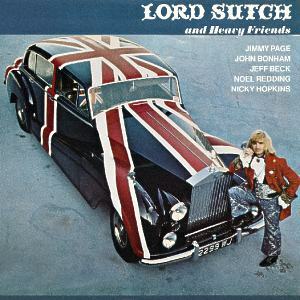 “Screaming Lord Sutch” created several horror-themed singles during the early to mid 1960s – including some revolutionary sounding recordings produced by audio pioneer Joe Meek [see below]. His outrageous stage antics pre-dated Alice Cooper and Marilyn Manson and he fully embraced the idea of ‘multi-media’ publicity in a way that few other musical artists dared at that time. Screaming Lord Sutch and the Savages played Epsom, Staines, Guildford and Kew in 1961, and Redhill and Kingston in 1962. In October 1962 – at about the time he began recording with Joe Meek for ‘Jack The Ripper’ – he played Epsom again. Our interest in Lord Sutch and his band is piqued by the formidable group of talented musicians who he managed to gather around him. In 1961, his band included Rolling Stones keyboardist Nicky Hopkins, along with bassist Ricky Fenson and drummer Carlo Little who both played for the Stones. In 1962 Danny McCullough and drummer Derek Sirmon from Eric Burdon & The Animals joined Sutch. In 1963 British musicals stare Paul Nicholas (aka Paul Dean) became the backing singer/keyboards player for the Savages. Other stellar names associated with Screaming Lord Sutch and the Savages included ‘Deep Purple’ guitarist Ritchie Blackmore, Jimi Hendrix bassist Noel Redding (and ‘Experience’ drummer Mitch Mitchell). Plus the famous drummer Clem Cattini from Joe Meek’s own stable. The Procal Harem organist Matthew Fisher (who came from Croydon and played on the 1967 single, “A Whiter Shade of Pale”) worked with Sutch – as did superstar guitarist Jeff Beck in 1970.